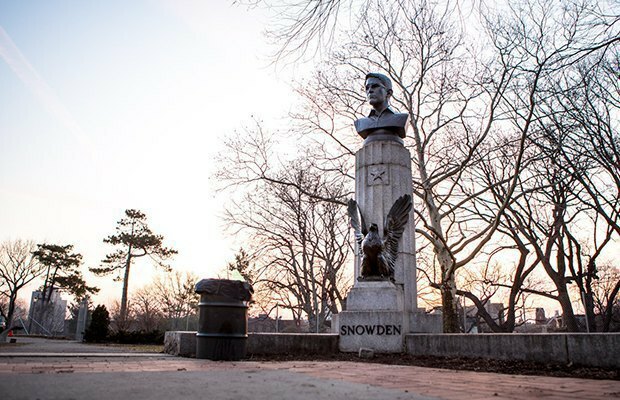 Last month, artists illegally installed a 4-foot, bronze-plated bust of Edward Snowden in a Brooklyn park. It was removed by police just hours later, but since then, returned. Now, the creators have uploaded a 3D printable file to Thingiverse, a repository for 3D printable files, that will allow anoyone with access to a 3D printer to have a Snowden bust of their own. “We thought, ‘Let’s put the data out there, and find a way for it to proliferate to anyone who wants it,’" says Andrew Tider, one of the artists who created the bust. “We’ve heard form people that they want one for their lawn or to put in their home… so we’re letting the world do whatever it wants to do with this." Get the file for your very own 3D-printed Snowden bust here.